There’s been something really quite moving about the second series of Humans, the Sam Vincent and Jonathan Brackley Channel 4 drama which has just wound to a close. In a world that started off examining the diametrically opposed differences between humans and synths (series 1 review), the stark black and white palette of the show has moved markedly to a murky shade of grey on both sides, complicating the actions of both parties to make us really appreciate the difficulties in deciding right and wrong. I wasn’t going to write Humans up but I’ve spoken so enthusiastically about it with several people since I watched the whole thing in three days and so thought I’d better recommend it even further. 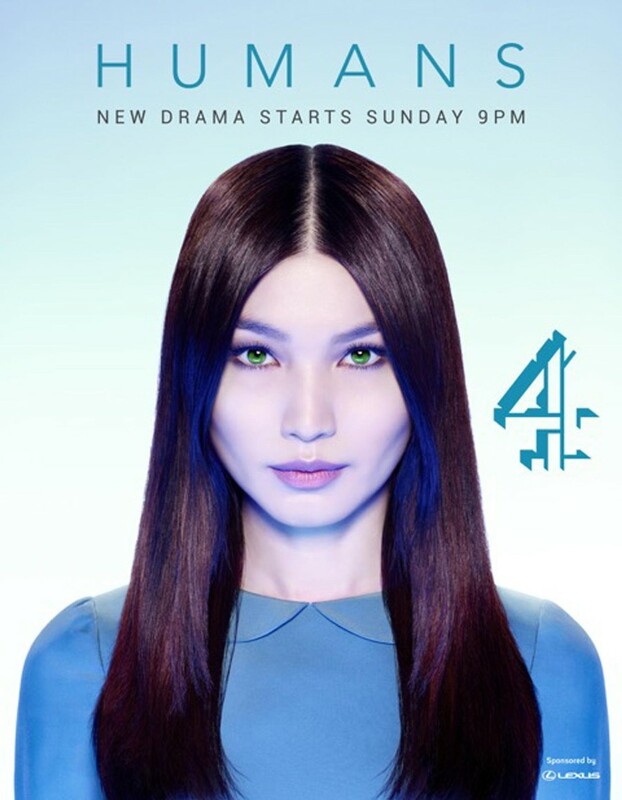 If there’s any justice in the world, Gemma Chan will win all sorts of awards for her performance as Anita (later Mia), the Synth or human-like android that has become the must-have accessory for domestic service in this parallel present-day universe. Anita is bought by the Hawkins family who soon start to twig that something isn’t right in the way she is behaving and as Sam Vincent and Jonathan Brackley’s drama continues over its 8 episodes, we come to see that the lines between human and machine have been considerably blurred by technological advancement and its potential to be exploited identified as a key priority for the nefarious powers-that-be.